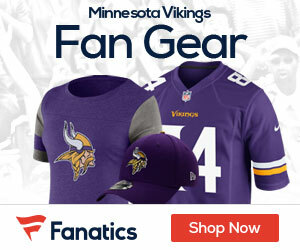 The Minnesota Legislature were dismissed at the beginning of the week, and they left the session without having approved any plan to build the Vikings a new stadium. A special session to address the issue is highly unlikely, meaning that the issue is essentially dead until the 2011 session. And 2011 is the year in which the Vikings lease of the Metrodome expires and the Vikings become “free agents.” The Vikings are not happy about the outcome of this year’s session, and issued a statement on Tuesday that appears to be an ultimatum. “The Vikings organization is extremely disappointed that the Governor and State Legislature did not move the stadium issue forward this year. While we greatly respect the challenges and priorities faced by the State of Minnesota, resolution of this issue has now been pushed to the final year of the lease. This lack of action will only increase the costs of the project for everyone, plus we missed the opportunity to put thousands of Minnesotans back to work. “The Vikings and the NFL have made significant commitments to this market — commitments that cannot be sustained at the Metrodome. In 2006, the Vikings were asked by Governor Pawlenty and State leaders to step back and allow the Twins and Gophers stadium issues to be resolved. Those State leaders committed to work with the team to resolve this issue. More than four years later, those commitments have not been honored. That last sentence tells you about all that you need to know.